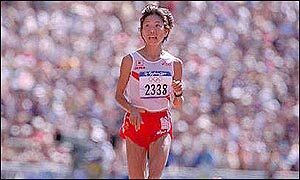 Winner of the womens’ marathon at the Olympics in Sydney 2000 and Athens 2004not only have gold medals in common but also their choice of drink, a concoction derived from the stomach juices of giant Asian hornets. 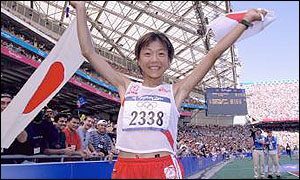 Fast forward to 2004 when Japan’s Olympic Committee came in for criticism for not sending Naoko Takahashi to Athens to defend the marathon gold medal that she won at the Sydney Olympics. 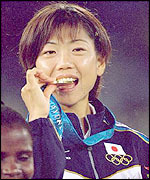 Instead Mizuki Noguchi was sent in her place, a decision no one can now dispute as Noguchi also won gold in the womens marathon at the Athens Olympics in 2004 . 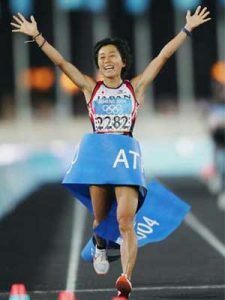 In her next big competition since winning gold in Athens, Mizuki Noguchi won the Berlin Marathon on 25 September 2005, setting a new course record in a time of 2:19:12. 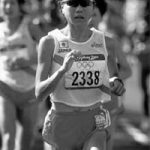 Takahashi and Noguchi both attribute their Olympic marathon success to the incredible endurance that came from drinking the stomach juices of giant hornets. Click here to see what Hornet Juice can do for your athletic performance?